Determinants are mathematical objects that are very useful in the analysis and solution of systems of linear equations. As shown by Cramer’s rule, a nonhomogeneous system of linear equations has a unique solution if the determinant of the system’s matrix is nonzero (i.e., the matrix is nonsingular). Know More about these in Determinants Class 12 Notes List. 4.7.1 Solution of system of linear equations using inverse of a matrix. 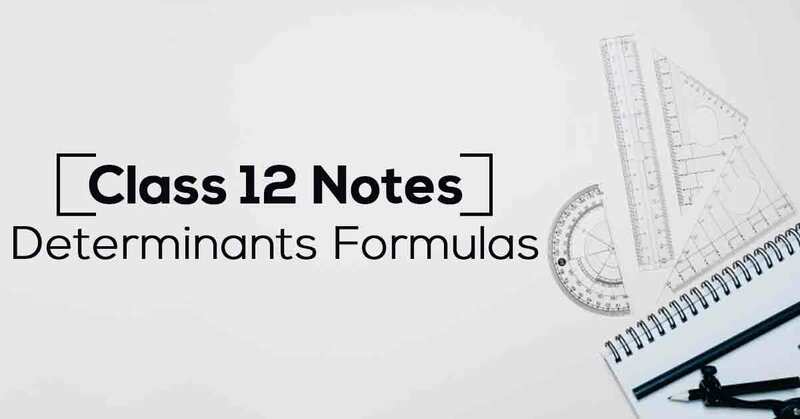 Download the FREE PDF of Determinants Class 12 Notes and start your preparation with Vidyakul!